Apple sent an invitation out to the press, featuring a "12" with a "5" cast as its shadow. Apple announced Tuesday that it has scheduled an event for Sept. 12, at which it is widely expected to introduce a new iPhone. 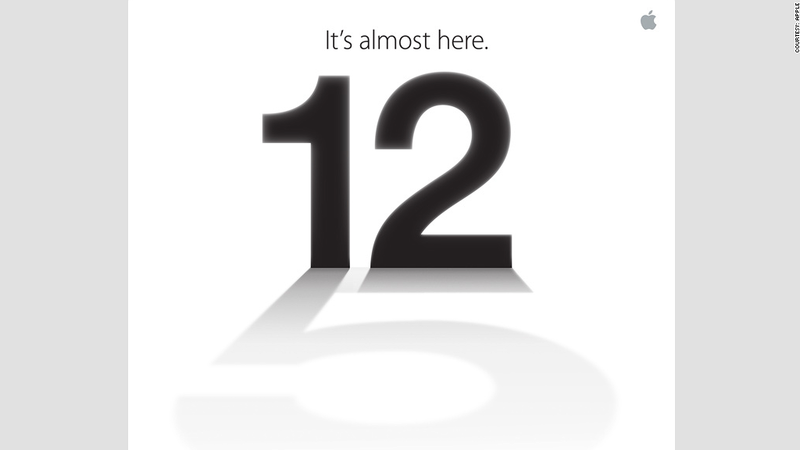 The highly anticipated event will likely feature the long-awaited unveiling of the iPhone 5. The invitation sent to the press features a prominent "5" as the shadow cast by the "12," signifying the event's date. The new iPhone is expected to have an elongated screen, 4G network speeds, a faster processor and some other structural and internal changes. Still, it's worth noting that even the most widely circulated iPhone-related rumors often turn out to be completely unfounded. Apple notoriously holds its secrets very close to its chest. Last year at this time, rumors circulated that Apple was working on an "iPhone 5" with a larger screen, 4G capabilities and no home button. Instead, it delivered the iPhone 4S, an incrementally updated smartphone cut from the same mold as its predecessor, the iPhone 4. The biggest change was the addition of the voice-activated assistant Siri. Not that this hurt sales -- Apple has sold 100 million iPhones in the three full quarters since the iPhone 4S was launched. Apple (AAPL) is also rumored to be unveiling a smaller iPad this fall to compete directly with a growing crop of seven-inch tablets on the market, most notably Amazon's (AMZN) Kindle Fire and Google's (GOOG) recently launched Nexus 7 tablet. Though neither has enjoyed the success of Apple's 10-inch iPad, they seem to have sold enough to get Apple's attention. Though it's possible the smaller tablet will be announced at the same time as the iPhone, many following Apple believe it's more likely that the company will announce an iPad mini during a separate event in October. Next week's event comes amid a slew of gadget and high-profile tech launches this fall. Amazon, Nokia (NOK) and Motorola are all holding smartphone and tablet announcements this week. Microsoft (MSFT) will be launching Windows 8 and its Surface tablet in October, and Nintendo will be announcing the launch date of its Wii U video game console on Sept. 13. Apple will hold its event at 10 a.m. PT in San Francisco. 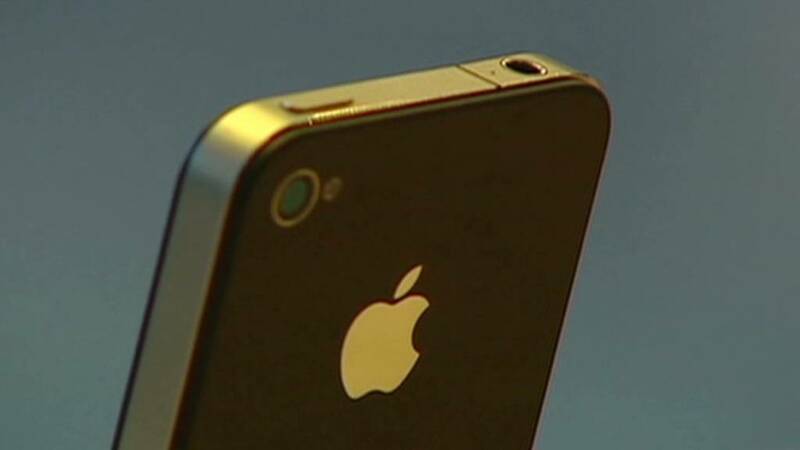 The company typically begins selling its new devices just a few weeks after they are unveiled., and there has been rampant speculation that the on sale date for the iPhone 5 will be September 21.